Now you can update your personal details in HP iQuote. We’ve changed the Change Password link on the menu to a new link called Account Settings. 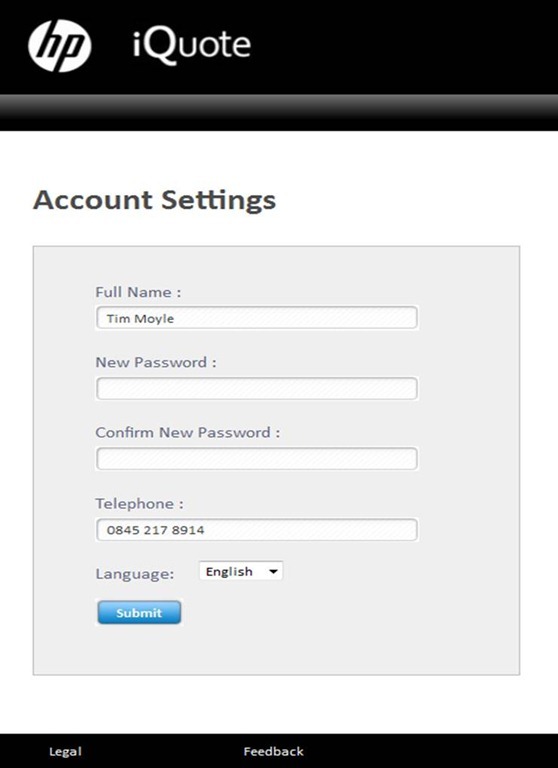 It allows you to update your name and telephone number as well as change your password. It also allows you to set your preferred language. So if you want the order first check that the details we have in HP iQuote for you are complete and correct.